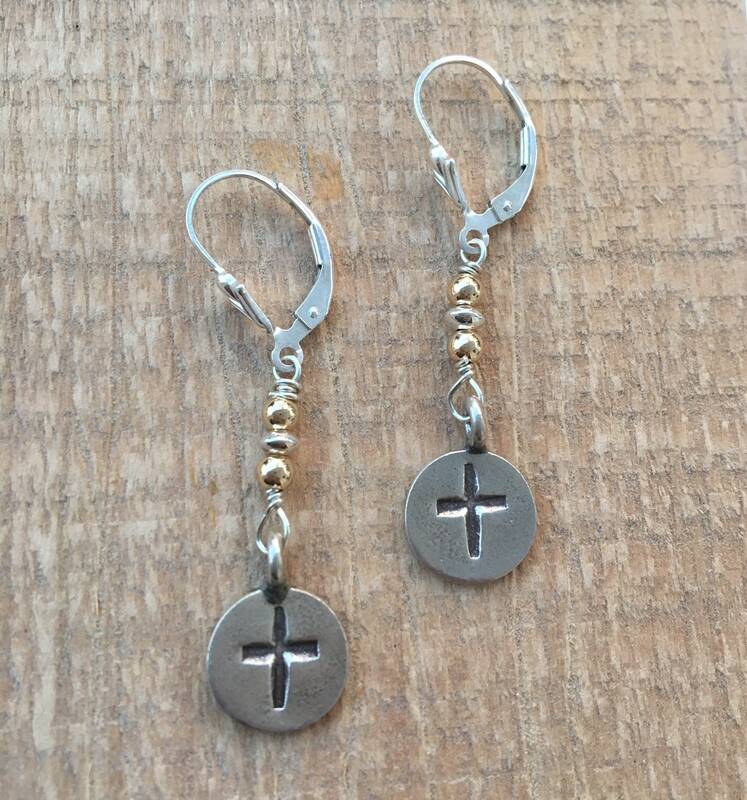 These two tone cross earrings have a solid, fine silver Karen Hill Tribe cross charm. 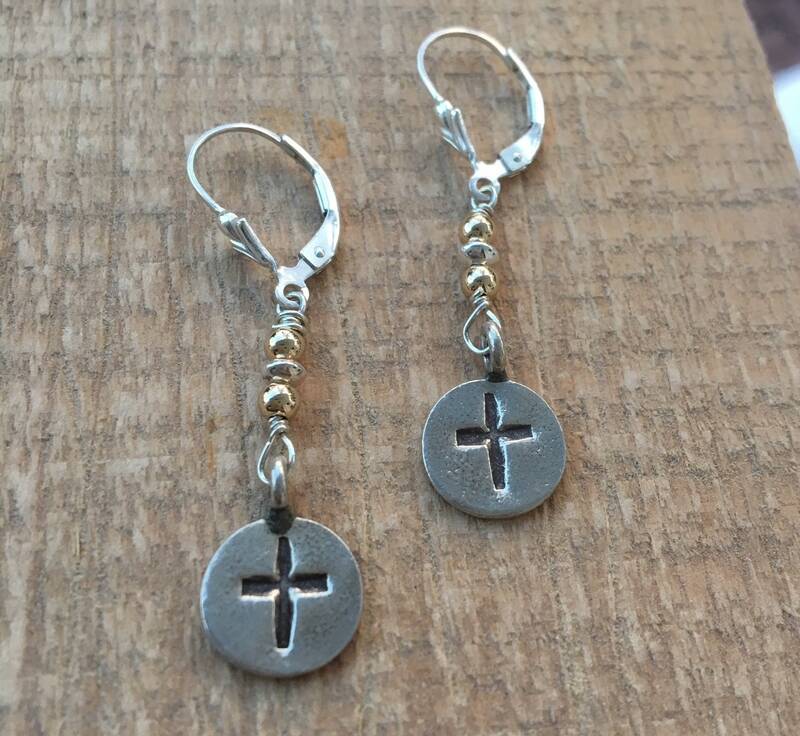 They are hand wired to sterling silver & gold filled beads. Sterling silver lever backs complete the look. You may also choose fish hook styled wires if you prefer. 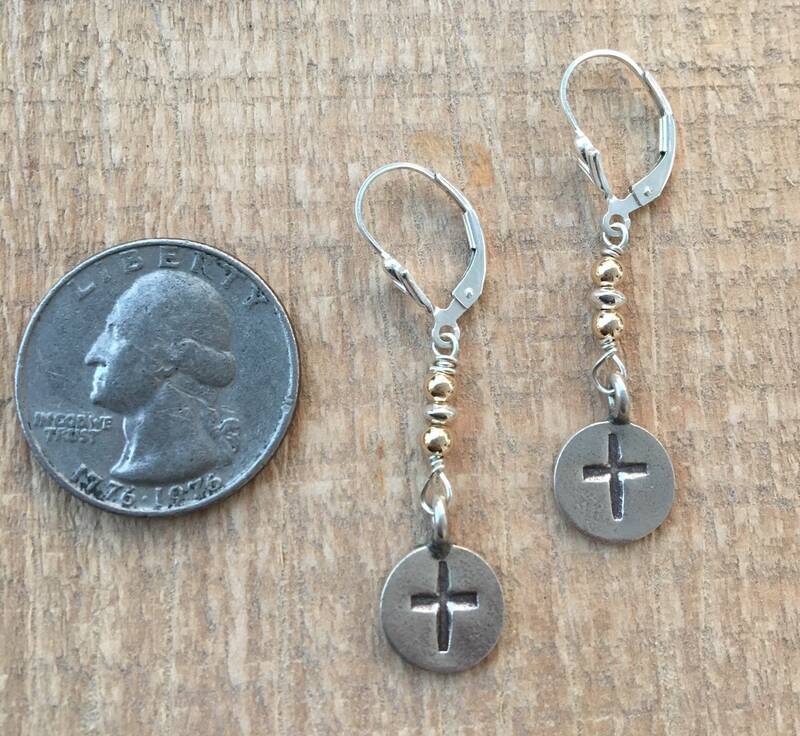 Measure 1 3/4" long including the earring wires.